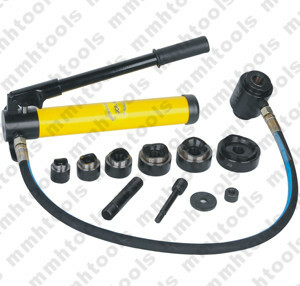 TPA-8 hydraulic hole punch driver tool, one of our hot sell hydraulic hole punch tool kit, also some customers call is hydraulic hole digger tool. 1, Tool head rotated 360 good. 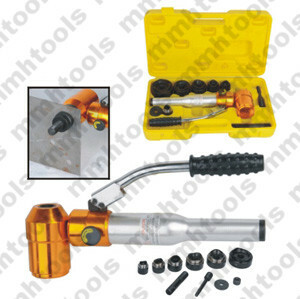 2, Tool body made by aluminum material, super light punch tool. 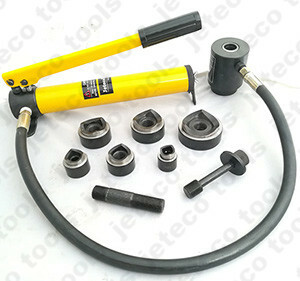 3, High quality rubber O rings set. 4, Complete kit, plastic carrying case packed. 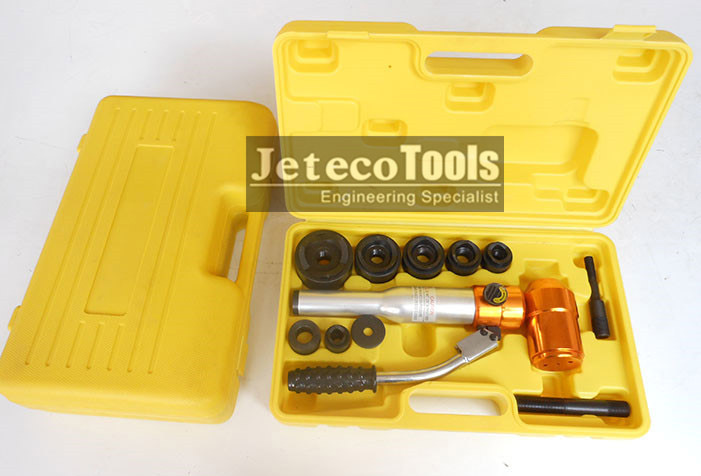 5, Jeteco Tools factory standard setting for six round holes:22mm, 27.5mm, 34mm, 43mm, 49mm, 60.8mm. 6, Products quality warranty one year. 7, Complete after sell service support, base on Jeteco Tools factory. 8, If you would like to see more live photos, please feel free to email with us. 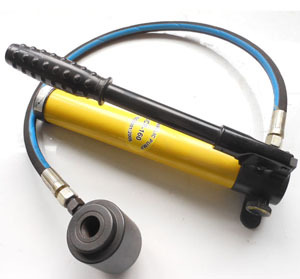 1, This popular hydraulic hole digger suitable for hole making on metal, plastic and like that. 2, Standard working on 3.50mm thickness mild steel, 1.50mm thickness stainless steel. 3, Punching head rotated 720. 4, Available hole range 16mm--114mm. 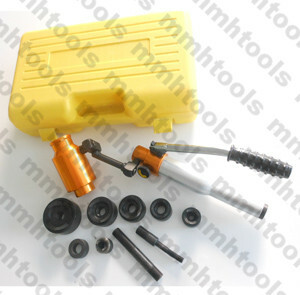 5, Main part included six standard round knockout punches, two guide bolts, hole punch tool, one spacer, sealing kit, plastic carrying case packed. 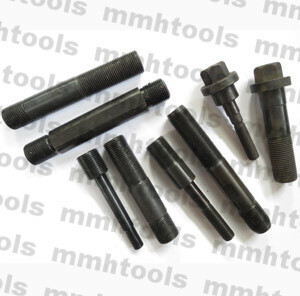 6, Square and rectangular hole punches are available, for customized. 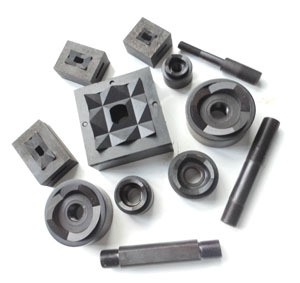 Standard 3.50mm thickness for mild steel, 1.50mm thickness for stainless steel. One kit in one plastic case, one in one carton, or two in one carton. TPA-8 six round holes, 22mm, 27.5mm, 34mm, 43mm, 49mm, 60.8mm, plastic case packed. WK-8 six round holes, 22mm, 27.5mm, 34mm, 43mm, 49mm, 60.8mm, plastic case packed. 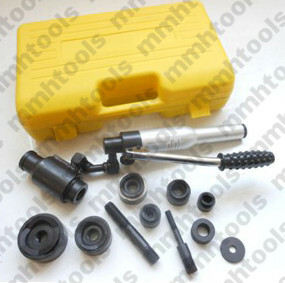 TP-8C six round holes, 22mm, 27.5mm, 34mm, 43mm, 49mm, 60.8mm, plastic case packed. 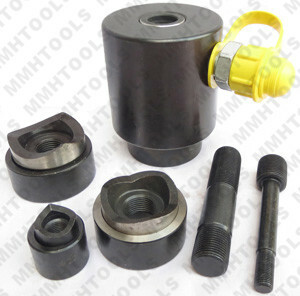 The above three hydraulic punch driver tool kits are for the same round holes, they are different design, please refer to our catalog, or please just feel free to email with us.